For miniatures wargame, see Nuclear Renaissance (wargame). Since about 2001 the term nuclear renaissance has been used to refer to a possible nuclear power industry revival, driven by rising fossil fuel prices and new concerns about meeting greenhouse gas emission limits. A nuclear renaissance is possible but cannot occur overnight. Nuclear projects face significant hurdles, including extended construction periods and related risks, long licensing processes and manpower shortages, plus long‐standing issues related to waste disposal, proliferation and local opposition. The financing of new nuclear power plants, especially in liberalized markets, has always been difficult and the financial crisis seems almost certain to have made it even more so. The huge capital requirements, combined with risks of cost overruns and regulatory uncertainties, make investors and lenders very cautious, even when demand growth is robust. The World Nuclear Association reported that nuclear electricity generation in 2012 was at its lowest level since 1999. Ten new reactors were connected to the grid, the highest number since 1990, but expanding Asian nuclear programs are balanced by retirements of aging plants and nuclear reactor phase-outs. Seven reactors were permanently shut down. 441 operational reactors had a worldwide net capacity of 382,855 megawatts of electricity. However, some reactors are classified as operational, but are not producing any power. 67 new nuclear reactors were under construction, including four EPR units. The first two EPR projects, in Finland and France, were meant to lead a nuclear renaissance but both are facing costly construction delays. Construction commenced on two Chinese EPR units in 2009 and 2010. The Chinese units were to start operation in 2014 and 2015, but the Chinese government halted construction because of safety concerns. March 2017 saw a setback for nuclear renaissance when producer of the AP1000 reactor Westinghouse Electric Company filed for Chapter 11 bankruptcy protection. Four months later the bankruptcy together with delays and cost overruns caused cancellation of the two AP1000 reactors under construction at the Virgil C. Summer Nuclear Generating Station. In 2009 annual generation of nuclear power has been on a slight downward trend since 2007, decreasing 1.8% in 2009 to 2558 TWh with nuclear power meeting 13–14% of the world's electricity demand. A major factor in the decrease has been the prolonged repair of seven large reactors at the Kashiwazaki-Kariwa Nuclear Power Plant in Japan following the Niigata-Chuetsu-Oki earthquake. In March 2011 the nuclear accidents at Japan's Fukushima I Nuclear Power Plant and shutdowns at other nuclear facilities raised questions among some commentators over the future of the renaissance. Platts has reported that "the crisis at Japan's Fukushima nuclear plants has prompted leading energy-consuming countries to review the safety of their existing reactors and cast doubt on the speed and scale of planned expansions around the world". In 2011 Siemens exited the nuclear power sector following the Fukushima disaster and subsequent changes to German energy policy, and supported the German government's planned energy transition to renewable energy technologies. China, Germany, Switzerland, Israel, Malaysia, Thailand, United Kingdom, Italy and the Philippines have reviewed their nuclear power programs. Indonesia and Vietnam still plan to build nuclear power plants. Countries such as Australia, Austria, Denmark, Greece, Ireland, Latvia, Liechtenstein, Luxembourg, Portugal, Israel, Malaysia, New Zealand, and Norway remain opposed to nuclear power. Following the Fukushima I nuclear accidents, the International Energy Agency halved its estimate of additional nuclear generating capacity built by 2035. A total of 72 reactors were under construction at the beginning of 2014, the highest number in 25 years. Several of the under construction reactors are carry over from earlier eras; some are partially completed reactors on which work has resumed (e.g., in Argentina); some are small and experimental (e.g., Russian floating reactors); and some have been on the IAEA’s “under construction” list for years (e.g., in India and Russia). Reactor projects in Eastern Europe are essentially replacing old Soviet reactors shut down due to safety concerns. Most of the 2010 activity ― 30 reactors ― is taking place in four countries: China, India, Russia and South Korea. Turkey, the United Arab Emirates and Iran are the only countries that are currently building their first power reactors, Iran's construction began decades ago. Eight German nuclear power reactors (Biblis A and B, Brunsbuettel, Isar 1, Kruemmel, Neckarwestheim 1, Philippsburg 1 and Unterweser) were permanently shutdown on August 6, 2011, following the Japanese Fukushima nuclear disaster. Various barriers to a nuclear renaissance have been suggested. These include: unfavourable economics compared to other sources of energy, slowness in addressing climate change, industrial bottlenecks and personnel shortages in the nuclear sector, and the contentious issue of what to do with nuclear waste or spent nuclear fuel. There are also concerns about more nuclear accidents, security, and nuclear weapons proliferation. New reactors under construction in Finland and France, which were meant to lead a nuclear renaissance, have been delayed and are running over-budget. China has 22 new reactors under construction, and there are also a considerable number of new reactors being built in South Korea, India, and Russia. At the same time, at least 100 older and smaller reactors will "most probably be closed over the next 10–15 years". So the expanding nuclear programs in Asia are balanced by retirements of aging plants and nuclear reactor phase-outs. A study by UBS, reported on April 12, 2011, predicts that around 30 nuclear plants may be closed worldwide, with those located in seismic zones or close to national boundaries being the most likely to shut. The analysts believe that 'even pro-nuclear countries such as France will be forced to close at least two reactors to demonstrate political action and restore the public acceptability of nuclear power', noting that the events at Fukushima 'cast doubt on the idea that even an advanced economy can master nuclear safety'. In September 2011, German engineering giant Siemens announced it will withdraw entirely from the nuclear industry, as a response to the Fukushima nuclear disaster in Japan. The 2011 World Energy Outlook report by the International Energy Agency stated that having "second thoughts on nuclear would have far-reaching consequences" and that a substantial shift away from nuclear power would boost demand for fossil fuels, putting additional upward pressure on the price of energy, raising additional concerns about energy security, and making it more difficult and expensive to combat climate change. The reports suggests that the consequences would be most severe for nations with limited local energy resources and which have been planning to rely heavily on nuclear power for future energy security, and that it would make it substantially more challenging for developing economies to satisfy their rapidly increasing demand for electricity. John Rowe, chair of Exelon (the largest nuclear power producer in the US), has said that the nuclear renaissance is "dead". He says that solar, wind and cheap natural gas have significantly reduced the prospects of coal and nuclear power plants around the world. Amory Lovins says that the sharp and steady cost reductions in solar power has been a "stunning market success". The economies of scale experienced in France during its initial build-out and the related strength of supply chain and labor pool were imagined by the dreamers who have coined the term ‘nuclear renaissance’ for the rest of the world. But outside of China and possibly South Korea this concept seems a fantasy, as should become clearer examining even theoretical projections for new nuclear build today. Nuclear power plants are large construction projects with very high up-front costs. The cost of capital is also steep due to the risk of construction delays and obstructing legal action. The large capital cost of nuclear power has been a key barrier to the construction of new reactors around the world, and the economics have recently worsened, as a result of the global financial crisis. As the OECD’s Nuclear Energy Agency points out, "investors tend to favor less capital intensive and more flexible technologies". This has led to a large increase in the use of natural gas for base-load power production, often using more sophisticated combined cycle plants. Major nuclear reactor accidents include Three Mile Island accident (1979), Chernobyl disaster (1986), and Fukushima (2011). A report in Lancet says that the effects of these accidents on individuals and societies are diverse and enduring. Relatively few immediate deaths have occurred, but nuclear-related fatalities are mostly in the hazardous uranium mining industry, which supplies fuel to nuclear reactors. There are also physical health problems directly attributable to radiation exposure, as well as psychological and social effects. 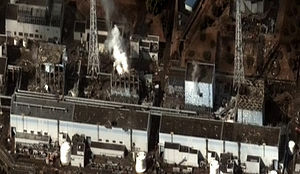 The Fukushima accident forced more than 80,000 residents to evacuate from neighborhoods around the crippled nuclear plant. Evacuation and long-term displacement create severe health-care problems for the most vulnerable people, such as hospital inpatients and elderly people. Charles Perrow, in his book Normal accidents says that multiple and unexpected failures are built into complex and tightly-coupled systems, such as nuclear power plants. Such accidents often involve operator error and are unavoidable and cannot be designed around. Since the terrorist attacks of September 11, 2001, there has been heightened concern that nuclear power plants may be targeted by terrorists or criminals, and that nuclear materials may be purloined for use in nuclear or radiological weapons. Nevertheless, newer reactor designs intended to provide increased safety have been developed over time. The next nuclear plants to be built will likely be Generation III or III+ designs, and a few are being built in Japan. However, safety risks may be the greatest when nuclear systems are the newest, and operators have less experience with them. Nuclear engineer David Lochbaum explained that almost all serious nuclear accidents occurred with what was at the time the most recent technology. He argues that "the problem with new reactors and accidents is twofold: scenarios arise that are impossible to plan for in simulations; and humans make mistakes". A nuclear power controversy has surrounded the deployment and use of nuclear fission reactors to generate electricity from nuclear fuel for civilian purposes. The controversy peaked during the 1970s and 1980s, when it "reached an intensity unprecedented in the history of technology controversies", in some countries. In 2008 there were reports of a revival of the anti-nuclear movement in Germany and protests in France during 2004 and 2007. Also in 2008 in the United States, there were protests about, and criticism of, several new nuclear reactor proposals and later some objections to license renewals for existing nuclear plants. Global public support for energy sources, based on a survey by Ipsos (2011) taken 2 months after the Fukushima Disaster. In 2005, the International Atomic Energy Agency presented the results of a series of public opinion surveys in the Global Public Opinion on Nuclear Issues report. Majorities of respondents in 14 of the 18 countries surveyed believe that the risk of terrorist acts involving radioactive materials at nuclear facilities is high, because of insufficient protection. While majorities of citizens generally support the continued use of existing nuclear power reactors, most people do not favour the building of new nuclear plants, and 25% of respondents feel that all nuclear power plants should be closed down. Stressing the climate change benefits of nuclear energy positively influences 10% of people to be more supportive of expanding the role of nuclear power in the world, but there is still a general reluctance to support the building of more nuclear power plants. After the Fukushima Disaster, Civil Society Institute (CSI) found out that 58 percent of the respondents indicated less support of using nuclear power in the United States. Two-thirds of the respondents said they would protest the construction of a nuclear reactor within 50 miles of their homes. There was little support across the world for building new nuclear reactors, a 2011 poll for the BBC indicates. The global research agency GlobeScan, commissioned by BBC News, polled 23,231 people in 23 countries from July to September 2011, several months after the Fukushima nuclear disaster. In countries with existing nuclear programmes, people are significantly more opposed than they were in 2005, with only the UK and US bucking the trend. Most believe that boosting energy efficiency and renewable energy can meet their needs. As of March 2010, ten African nations had begun exploring plans to build nuclear reactors. South Africa (which has two nuclear power reactors), however, removed government funding for its planned new PBMRs in 2010. Between 2007 and 2009, 13 companies applied to the Nuclear Regulatory Commission for construction and operating licenses to build 30 new nuclear power reactors in the United States. However, the case for widespread nuclear plant construction was eroded due to abundant natural gas supplies, slow electricity demand growth in a weak US economy, lack of financing, and uncertainty following the Fukushima nuclear disaster. Many license applications for proposed new reactors were suspended or cancelled. Only a few new reactors will enter service by 2020. These will not be the cheapest energy options available, but they are an attractive investment for utilities because the government mandates that taxpayers pay for construction in advance. In 2013, four aging, uncompetitive, reactors were permanently closed: San Onofre 2 and 3 in California, Crystal River 3 in Florida, and Kewaunee in Wisconsin. Vermont Yankee, in Vernon, is scheduled to close in 2014, following many protests. New York State is seeking to close Indian Point Energy Center, in Buchanan, 30 miles from New York City. Neither climate change abatement, nor the Obama Administration’s endorsement of nuclear power with $18.5 billion in loan guarantees, have been able to propel nuclear power in the US past existing obstacles. The Fukushima nuclear disaster hasn’t helped either. As of 2014, the U.S. nuclear industry began a new lobbying effort, hiring three former senators — Evan Bayh, a Democrat; Judd Gregg, a Republican; and Spencer Abraham, a Republican — as well as William M. Daley, a former staffer to President Obama. The initiative is called Nuclear Matters, and it has begun a newspaper advertising campaign. On 29 March 2017, parent company Toshiba placed Westinghouse Electric Company in Chapter 11 bankruptcy because of US$9 billion of losses from its nuclear reactor construction projects. The projects responsible for this loss are mostly the construction of four AP1000 reactors at Vogtle in Georgia and V. C. Summer in South Carolina. The U.S. government had given $8.3 billion of loan guarantees on the financing of the four nuclear reactors being built in the U.S., and it is expected a way forward to completing the plant can be agreed. Peter A. Bradford, former U.S. Nuclear Regulatory Commission member, commented "They placed a big bet on this hallucination of a nuclear renaissance". As of 2008, the greatest growth in nuclear generation was expected to be in China, Japan, South Korea and India. As of early 2013 China had 17 nuclear reactors operating and 32 under construction, with more planned. "China is rapidly becoming self-sufficient in reactor design and construction, as well as other aspects of the fuel cycle." However, according to a government research unit, China must not build "too many nuclear power reactors too quickly", in order to avoid a shortfall of fuel, equipment and qualified plant workers. Following the Fukushima disaster, many are questioning the mass roll-out of new plants in India, including the World Bank, the Indian Environment Minister, Jairam Ramesh, and the former head of the country's nuclear regulatory body, A. Gopalakrishnan. The massive Jaitapur Nuclear Power Project is the focus of concern – "931 hectares of farmland will be needed to build the reactors, land that is now home to 10,000 people, their mango orchards, cashew trees and rice fields". Fishermen in the region say their livelihoods will be wiped out. South Korea is exploring nuclear projects with a number of nations. Australia is a major producer of uranium, which it exports as uranium oxide to nuclear power generating nations. Australia has a single research reactor at Lucas Heights, but does not generate electricity via nuclear power. As of 2015, the majority of the nation's uranium mines are in South Australia, where a Nuclear Fuel Cycle Royal Commission is investigating the opportunities and costs of expanding the state's role in the nuclear fuel cycle. As of January 2016, new nuclear industrial development (other than the mining of uranium) is prohibited by various acts of federal and state legislation. The Federal government will consider the findings of the South Australian Royal Commission after it releases its findings in 2016. With several CANDU reactors facing closure selected plants will be completely refurbished between 2016 and 2026, extending their operation beyond 2050. On 18 October 2010 the British government announced eight locations it considered suitable for future nuclear power stations. This has resulted in public opposition and protests at some of the sites. In March 2012, two of the big six power companies announced they would be pulling out of developing new nuclear power plants. The decision by RWE npower and E.ON follows uncertainty over nuclear energy following the Fukushima nuclear disaster last year. The companies will not proceed with their Horizon project, which was to develop nuclear reactors at Wylfa in North Wales and at Oldbury-on-Severn in Gloucestershire. Their decision follows a similar announcement by Scottish and Southern Electricity last year. Analysts said the decision meant the future of UK nuclear power could now be in doubt. The 2011 Japanese Fukushima nuclear disaster has led some European energy officials to "think twice about nuclear expansion". Switzerland has abandoned plans to replace its old nuclear reactors and will take the last one offline in 2034. Anti-nuclear opposition intensified in Germany. In the following months the government decided to shut down eight reactors immediately (August 6, 2011) and to have the other nine off the grid by the end of 2022. Renewable energy in Germany is believed to be able to compensate for much of the loss. In September 2011 Siemens, which had been responsible for constructing all 17 of Germany's existing nuclear power plants, announced that it would exit the nuclear sector following the Fukushima disaster and the subsequent changes to German energy policy. Chief executive Peter Loescher has supported the German government's planned energy transition to renewable energy technologies, calling it a "project of the century" and saying Berlin's target of reaching 35% renewable energy sources by 2020 was feasible. On October 21, 2013, EDF Energy announced that an agreement had been reached regarding new nuclear plants to be built on the site of Hinkley Point C. EDF Group and the UK Government agreed on the key commercial terms of the investment contract. The final investment decision is still conditional on completion of the remaining key steps, including the agreement of the EU Commission. Britain's plan for a fleet of new nuclear power stations is … unbelievable ... It is economically daft. The guaranteed price [being offered to French state company EDF] is over seven times the unsubsidised price of new wind in the US, four or five times the unsubsidised price of new solar power in the US. Nuclear prices only go up. Renewable energy prices come down. There is absolutely no business case for nuclear. The British policy has nothing to do with economic or any other rational base for decision making. In December 2009 South Korea won a contract for four nuclear power plants to be built in the United Arab Emirates, for operation in 2017 to 2020. On March 17, 2011, Israeli Prime Minister Benjamin Netanyahu stated that Israel was now unlikely to pursue civil nuclear energy. In April 2010 Russia announced new plans to start building 10 new nuclear reactors in the next year. In June 2009, Mark Cooper from the Vermont Law School said: "The highly touted renaissance of nuclear power is based on fiction, not fact... There are numerous options available to meet the need for electricity in a carbon-constrained environment that are superior to building nuclear reactors". In September 2009, Luc Oursel, chief executive of Areva Nuclear Plants (the core nuclear reactor manufacturing division of Areva) stated: "We are convinced about the nuclear renaissance". Areva has been hiring up to 1,000 people a month, "to prepare for a surge in orders from around the world". However, in June 2010, Standard & Poor's downgraded Areva’s debt rating to BBB+ due to weakened profitability. In 2010, Trevor Findlay from the Centre for International Governance Innovation stated that "despite some powerful drivers and clear advantages, a revival of nuclear energy faces too many barriers compared to other means of generating electricity for it to capture a growing market share to 2030". In January 2010, the International Solar Energy Society stated that "... it appears that the pace of nuclear plant retirements will exceed the development of the few new plants now being contemplated, so that nuclear power may soon start on a downward trend. It will remain to be seen if it has any place in an affordable future world energy policy". In March 2010, Steve Kidd from the World Nuclear Association said: "Proof of whether the mooted nuclear renaissance is merely 'industry hype' as some commentators suggest or reality will come over the next decade". In 2013 Kidd characterised the situation as a nuclear slowdown, requiring the industry to focus on better economics and improving public acceptance. In August 2010, physicist Michael Dittmar stated that: "Nuclear fission's contribution to total electric energy has decreased from about 18 per cent a decade ago to about 14 per cent in 2008. On a worldwide scale, nuclear energy is thus only a small component of the global energy mix and its share, contrary to widespread belief, is not on the rise". In March 2011, Alexander Glaser said: "It will take time to grasp the full impact of the unimaginable human tragedy unfolding after the earthquake and tsunami in Japan, but it is already clear that the proposition of a global nuclear renaissance ended on that day". In 2011, Benjamin K. Sovacool said: "The nuclear waste issue, although often ignored in industry press releases and sponsored reports, is the proverbial elephant in the room stopping a nuclear renaissance". ^ a b International Energy Agency, World Energy Outlook, 2009, p. 160. ^ a b WNA (June 20, 2013). "Nuclear power down in 2012". World Nuclear News. ^ "Ten New Nuclear Power Reactors Connected to Grid in 2015, Highest Number Since 1990". Retrieved May 22, 2016. ^ "Japan approves two reactor restarts". Taipei Times. June 7, 2013. Retrieved June 14, 2013. ^ "Nuclear Power Reactors in the World" (PDF). Pub.iaea.org. May 9, 2015. Retrieved January 30, 2017. ^ a b James Kanter. In Finland, Nuclear Renaissance Runs Into Trouble New York Times, May 28, 2009. ^ Geert De Clercq (July 31, 2014). "EDF hopes French EPR will launch before Chinese reactors". Reuters. Retrieved December 9, 2014. ^ Symbolic milestone for Finnish EPR, World Nuclear News, 24 October 2013. ^ Mycle Schneider, Antony Froggatt, "China dialogue: World nuclear industry in decline", 3 February 2016. ^ Yamazaki, Makiko; Kelly, Tim (March 29, 2017). "Toshiba's Westinghouse files for bankruptcy as charges jump". reuters.com. Retrieved March 29, 2017. ^ Plumer, Brad (July 31, 2017). "U.S. Nuclear Comeback Stalls as Two Reactors Are Abandoned". nytimes.com. Retrieved August 2, 2017. ^ Nuclear decline set to continue, says report Nuclear Engineering International, 27 August 2009. ^ Nuclear Renaissance Threatened as Japan’s Reactor Struggles Bloomberg, published March 2011. Retrieved March 14, 2011. ^ Analysis: Nuclear renaissance could fizzle after Japan quake Reuters, published March 14, 2011. Retrieved March 14, 2011. ^ Will China's nuclear nerves fuel a boom in green energy? Channel 4, published March 17, 2011. Retrieved March 17, 2011. ^ "NEWS ANALYSIS: Japan crisis puts global nuclear expansion in doubt". Platts. March 21, 2011. ^ a b "Siemens to quit nuclear industry". BBC News. September 18, 2011. ^ "Italy announces nuclear moratorium". World Nuclear News. March 24, 2011. Retrieved May 23, 2011. ^ Jo Chandler (March 19, 2011). "Is this the end of the nuclear revival?". The Sydney Morning Herald. ^ Aubrey Belford (March 17, 2011). "Indonesia to Continue Plans for Nuclear Power". New York Times. ^ a b Israel Prime Minister Netanyahu: Japan situation has "caused me to reconsider" nuclear power Piers Morgan on CNN, published March 17, 2011. Retrieved March 17, 2011. ^ "Gauging the pressure". The Economist. April 28, 2011. Retrieved May 3, 2011. ^ Mycle Schneider; Antony Froggatt & Steve Thomas (July 2011). "2010–2011 world nuclear industry status report". Bulletin of the Atomic Scientists. p. 63. ^ a b IAEA. "Power Reactor Information System". Retrieved January 30, 2017. ^ a b c Trevor Findlay (2010). The Future of Nuclear Energy to 2030 and its Implications for Safety, Security and Nonproliferation: Overview Archived May 12, 2013, at the Wayback Machine, The Centre for International Governance Innovation (CIGI), Waterloo, Ontario, Canada, pp. 10–11. ^ a b c d M.V. Ramana. Nuclear Power: Economic, Safety, Health, and Environmental Issues of Near-Term Technologies, Annual Review of Environment and Resources, 2009. 34, p. 130. ^ a b c d e Trevor Findlay. The Future of Nuclear Energy to 2030 and its Implications for Safety, Security and Nonproliferation Archived June 16, 2011, at the Wayback Machine February 4, 2010. ^ Allison Macfarlane (May 1, 2007). "Obstacles to Nuclear Power". Bulletin of the Atomic Scientists. pp. 24–25. ^ M.V. Ramana. Nuclear Power: Economic, Safety, Health, and Environmental Issues of Near-Term Technologies, Annual Review of Environment and Resources, 2009, 34, pp. 144–145. ^ Amory Lovins (March – April 2012). "A Farewell to Fossil Fuels". Foreign Affairs. ^ Jeff Mcmahon (November 10, 2013). "New-Build Nuclear Is Dead: Morningstar". Forbes. Retrieved November 12, 2013. ^ a b Trevor Findlay (2010). The Future of Nuclear Energy to 2030 and its Implications for Safety, Security and Nonproliferation: Overview Archived May 12, 2013, at the Wayback Machine, The Centre for International Governance Innovation (CIGI), Waterloo, Ontario, Canada, p. 14. ^ Mark Cooper. The Economics of Nuclear Reactors: Renaissance or Relapse? Vermont Law School, June 2009. ^ Richard Schiffman (March 12, 2013). "Two years on, America hasn't learned lessons of Fukushima nuclear disaster". The Guardian. ^ Hasegawa, Arifumi; Tanigawa, Koichi; Ohtsuru, Akira; Yabe, Hirooki; Maeda, Masaharu; et al. "Health effects of radiation and other health problems in the aftermath of nuclear accidents, with an emphasis on Fukushima". Lancet. 386 (9992): 479–488. doi:10.1016/s0140-6736(15)61106-0. ^ a b "Fossil fuels are far deadlier than nuclear power – tech – March 23, 2011 – New Scientist". Archived from the original on November 17, 2015. Retrieved February 7, 2015. ^ a b Doug Brugge; Jamie L. deLemos & Cat Bui (September 2007). "The Sequoyah Corporation Fuels Release and the Church Rock Spill: Unpublicized Nuclear Releases in American Indian Communities". Am J Public Health. 97 (9): 1595–600. doi:10.2105/AJPH.2006.103044. PMC 1963288. PMID 17666688. ^ "Japan says it was unprepared for post-quake nuclear disaster". Los Angeles Times. June 8, 2011. Archived from the original on June 8, 2011. ^ Trevor Findlay (2010). The Future of Nuclear Energy to 2030 and its Implications for Safety, Security and Nonproliferation: Overview Archived May 12, 2013, at the Wayback Machine, The Centre for International Governance Innovation (CIGI), Waterloo, Ontario, Canada, p. 26. ^ M. V. Ramana (July 2011). "Nuclear power and the public". Bulletin of the Atomic Scientists. p. 48. ^ Benjamin K. Sovacool. A Critical Evaluation of Nuclear Power and Renewable Electricity in Asia, Journal of Contemporary Asia, Vol. 40, No. 3, August 2010, p. 381. ^ J. Samuel Walker (2004). Three Mile Island: A Nuclear Crisis in Historical Perspective (Berkeley: University of California Press), pp. 10–11. ^ The Renaissance of the Anti-Nuclear Movement Spiegel Online, November 10, 2008. ^ Anti-Nuclear Protest Reawakens: Nuclear Waste Reaches German Storage Site Amid Fierce Protests Spiegel Online, November 11, 2008. ^ Simon Sturdee. Police break up German nuclear protest The Age, November 11, 2008. ^ "French protests over EPR". Nuclear Engineering International. April 3, 2007. Archived from the original on September 27, 2007. ^ "France hit by anti-nuclear protests". Evening Echo. April 3, 2007. Archived from the original on September 29, 2007. ^ Anti-nuclear protesters reach capitol Rutland Herald, January 14, 2010. ^ a b c International Atomic Energy Agency (2005). Global Public Opinion on Nuclear Issues and the IAEA: Final Report from 18 Countries Archived April 9, 2008, at the Wayback Machine pp. 6–7. ^ Kate Sheppard (March 23, 2011). "Public Opinion on Nuclear Goes Critical". ^ Richard Black (November 25, 2011). "Nuclear power 'gets little public support worldwide'". BBC News. ^ John Quiggin (November 8, 2013). "Reviving nuclear power debates is a distraction. We need to use less energy". The Guardian. ^ a b Ayesha Rascoe (February 9, 2012). "U.S. approves first new nuclear plant in a generation". Reuters. ^ Terry Ganey. AmerenUE pulls plug on project Archived July 13, 2012, at the Wayback Machine Columbia Daily Tribune, April 23, 2009. ^ "Experts: Even higher costs and more headaches for nuclear power in 2012". MarketWatch. December 28, 2011. ^ Mark Cooper (June 18, 2013). "Nuclear aging: Not so graceful". Bulletin of the Atomic Scientists. ^ Sovacool, BK and SV Valentine. The National Politics of Nuclear Power: Economics, Security, and Governance (London: Routledge, 2012), p. 82. ^ Matthew Wald (April 27, 2014). "Nuclear Industry Gains Carbon-Focused Allies in Push to Save Reactors". New York Times. ^ Fuse, Taro (March 24, 2017). "Toshiba decides on Westinghouse bankruptcy, sees $9 billion in charges: sources". Reuters. Retrieved March 25, 2017. ^ Christopher Martin, Chris Cooper (March 31, 2017). "How an American tech icon bet on nuclear power — and lost". Bloomberg. Retrieved April 2, 2017. ^ "China Should Control Pace of Reactor Construction, Outlook Says". Bloomberg News. January 11, 2011. ^ Ben Doherty (April 23, 2011). "Indian anti-nuclear protesters will not be deterred". Sydney Morning Herald. ^ EDF raises French EPR reactor cost to over $11 billion, Reuters, Dec 3, 2012. ^ Mancini, Mauro and Locatelli, Giorgio and Sainati, Tristano (2015). The divergence between actual and estimated costs in large industrial and infrastructure projects: is nuclear special? In: Nuclear new build: insights into financing and project management. Nuclear Energy Agency, pp. 177–188. ^ "Nuclear power: Eight sites identified for future plants". BBC News. BBC. October 18, 2010. Retrieved October 18, 2010. ^ a b c d David Maddox (March 30, 2012). "Nuclear disaster casts shadow over future of UK's energy plans". The Scotsman. ^ Heather Timmons (March 14, 2011). "Emerging Economies Move Ahead With Nuclear Plans". New York Times. ^ John Vidal (February 18, 2014). "Amory Lovins: energy visionary sees renewables revolution in full swing". The Guardian. ^ Netanyahu: We'll reconsider nuclear power plans Ynetnews, published March 18, 2011. Retrieved March 17, 2011. ^ Mark Cooper. The Economics of Nuclear Reactors: Renaissance or Relapse? Vermont Law School, June 2009, p. 1 and p. 8. ^ Dorothy Kosich (June 29, 2010). "S&P downgrades French nuclear-uranium giant AREVA on weakened profitability". Mineweb. Archived from the original on October 4, 2011. Retrieved July 6, 2010. ^ Trevor Findlay (2010). The Future of Nuclear Energy to 2030 and its Implications for Safety, Security and Nonproliferation: Overview Archived May 12, 2013, at the Wayback Machine, The Centre for International Governance Innovation (CIGI), Waterloo, Ontario, Canada, p. 9. ^ Donald W. Aitken. Transitioning to a Renewable Energy Future, International Solar Energy Society, January 2010, p. 8. ^ Stephen W. Kidd. WNA Director: Nuclear Reborn? Nuclear Street, March 11, 2010. ^ Steve Kidd (August 5, 2013). "Nuclear slowdown – why did it happen?". Nuclear Engineering International. Retrieved August 27, 2013. ^ Alexander Glaser (March 17, 2011). "After the nuclear renaissance: The age of discovery". Bulletin of the Atomic Scientists. ^ Benjamin K. Sovacool (2011). Contesting the Future of Nuclear Power: A Critical Global Assessment of Atomic Energy, World Scientific, p. 145. Cravens, Gwyneth (2007). Power to Save the World: the Truth about Nuclear Energy. New York: Knopf. p. 464. ISBN 0-307-26656-7. Ferguson, Charles D., (2007). Nuclear Energy: Balancing Benefits and Risks, Council on Foreign Relations. Nuttall, William J (2004). Nuclear Renaissance: Technologies and Policies for the Future of Nuclear Power, Taylor & Francis.